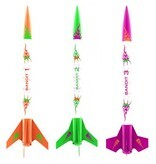 Get to the flying field quick with these mini engine powered rockets! 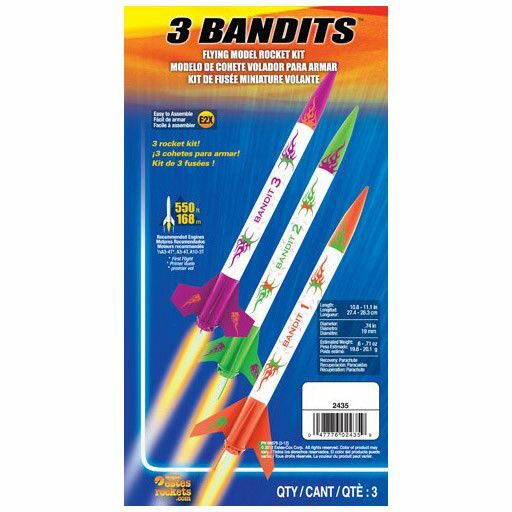 3 complete rockets, one great price! 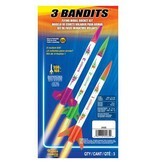 Easy to assemble gets you to the flying field quick. 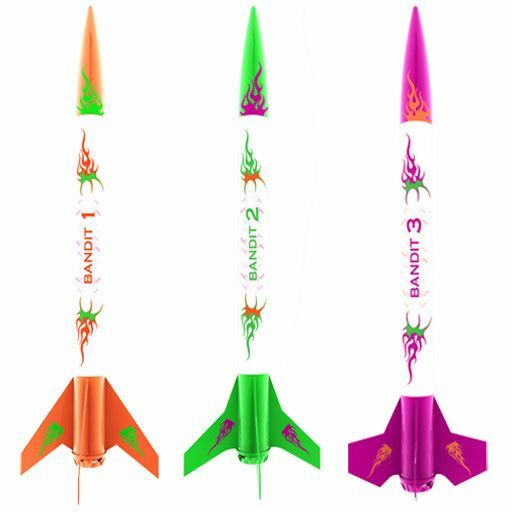 3 rockets, all mini engine powered, can reach heights of 550 feet! Better keep your eyes open for this these little guys or they will be out of sight before you know it!